only available power source is the camera battery. 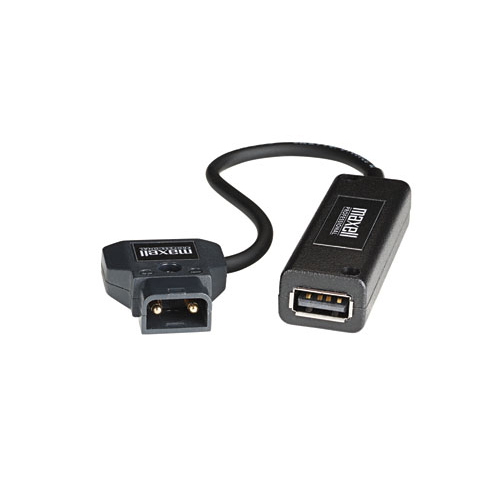 Armed with a power tap (male) compatible connector on one end, and a 2 amp USB connector on the other, the USB Charge Adapter (SP-PCUSB) allows the user to re-charge any smart device off of their camera battery, therefore making the camera a back-up power source. The USB charge adapter cable will recharge a smartphone, tablet or other smart device, making it an essential tool for anyone shooting in remote locations where the only available power source is the camera battery.